Lupus is a chronic immune disease that affects a large number of people in the United States. Determining exactly how many people have Lupus is difficult because the symptoms vary so dramatically. Glutathione and Lupus are often studied together because GSH levels are a great indication of how severe the disease is and how effective treatment is. Systemic Lupus Erythematosus makes up about 70% of all Lupus cases, with symptoms that are found across the entire body. A chronic autoimmune disease can be serious, in essence your immune system turns against your body and can no longer differentiate between foreign invaders and healthy cells. This leads to healthy cells being damaged and the immune function is severely hampered. Symptoms may vary greatly; common symptoms of Lupus can include inflammation, skin rashes, fatigue, hair loss and chronic pain. One of the possible causes of Systemic Lupus Erythematosus is an imbalance of oxidative status in the body. This is likely caused and catalyzed by the depleting Glutathione levels in Lupus patients. Plasma GSH levels are used to determine oxidative status, helping diagnose the severity of the disease. While Lupus depletes the body of Glutathione, symptoms are worsened as GSH reserves fall. Meaning individuals with aggressive SLE symptoms have less Glutathione in their body than those with less severe symptoms. Improving Glutathione levels is extremely important for Lupus sufferers, to help combat the oxidative damage done to their cells. 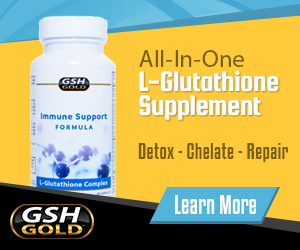 Supplementing Glutathione levels can help improve immune function and maintain cellular health. Many Lupus cases are mild, meaning symptoms are manageable with consistent check ups and monitoring. However just because the symptoms of Lupus are not life threatening, the disease is still cutting your life shorter. Causing severe stress to the body, in particular the organs. Coupled with increasing oxidative damage, the liver becomes overworked and the immune system becomes vulnerable. Stressing the importance of nutritional intervention to help combat these life shortening symptoms of Lupus. Studies have shown a significant correlation between Glutathione levels and the severity of Systemic Lupus Erythematosus. Aiding in the evaluation of the diseases progression as well as the efficacy of treatment methods. 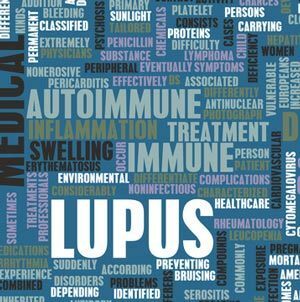 It is safe to say that by enhancing Glutathione levels you are helping to minimize the symptoms of Lupus while fortifying an impaired immune function.